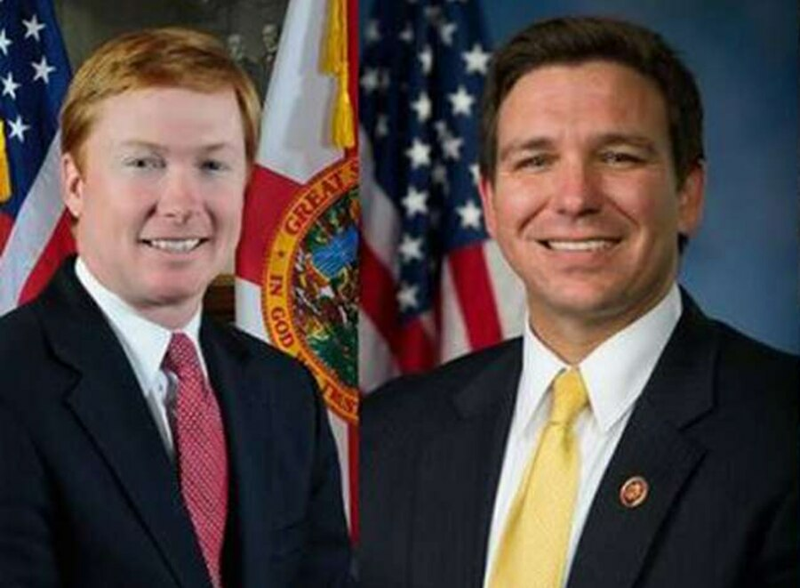 Adam Putnam and Ron DeSantis will spar in prime time as Fox News moderates. For the first time, the two Republican candidates for Florida governor will square off in a debate when they meet on a Kissimmee stage Thursday night. It'll be a high-profile, prime time affair. Fox News Channel is airing the meeting between Agriculture Commissioner Adam Putnam and U.S. Rep. Ron DeSantis, and two of the network's top political anchors, Bret Baier and Martha MacCallum, will moderate. The one-hour debate will begin at 6:30 p.m. It will also air on Fox News Radio and foxnews.com. While the Democratic slate has already debated three times, this is the first time Putnam and DeSantis will go head-to-head. They both appeared earlier this campaign season at the Florida Family Policy Council forum, though they took questions separately from moderator Frank Luntz. That forum focused on social issues, with Putnam declaring his support for a so-called "heartbeat bill" and DeSantis backing work requirements for welfare and food stamps. Here's something to watch for: Will the candidates face questions specific to Florida or will these national moderators focus more on broader issues of concern to Republican voters? Putnam has so far shaped his campaign around his deep knowledge of Florida and willingness to talk about nearly every issue facing the state. Meanwhile, DeSantis has run heavily on the endorsement he earned from President Donald Trump, who DeSantis frequently defends on Fox News. A recent Fox News poll shows Putnam with a healthy lead over DeSantis, 32 percent to 17 percent, though nearly four in 10 voters are undecided. The debate will kick off the Republican Party of Florida's Sunshine Summit at the Gaylord Palms Resort, an annual gathering of party leaders, candidates and marquee speakers. The headliner for Friday's schedule is Dinesh D'Souza, a conservative author and commentator whose online attacks on Parkland students drew an immediate rebuke, even by Republicans. He later apologized, though Gov. Rick Scott still criticized the decision to invite D'Souza. Scott isn't scheduled to appear Friday.